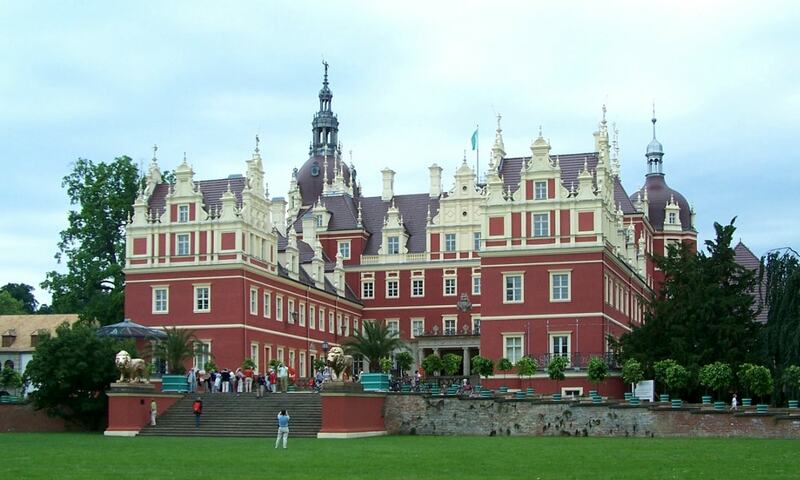 Schloss Muskau is known for its extended park, the Muskau Park, a World Heritage Site from 2 July 2004. The building complex was developed over a long period. The present main building, called New Palace, was built in the 19th century in Neo-Renaissance style. Muskau Park is the largest and one of the most famous English gardens in Central Europe, stretching along both sides of the German-Polish border on the Lusatian Neisse.